Perhaps that's over stating it a bit. Weakness is not yet an Olympic sport. However, Stanford is now anti-stretching! This article is a little cheesy for someone as lactose intolerant as me, but it's worth reading. Before every practice and game, the Stanford softball team does a stretching program that does not involve stretching. Instead of the typical toe-touching and body-flopping on the outfield grass, they do a slow dance closer to tai chi. "Sports are not played by lengthening a muscle and holding that length for 30 or 40 seconds," says Brandon Marcello, whose mission is to create a dynamic warm-up motion customized to each varsity sport at Stanford. This means all 836 athletes will be doing poses with names like "Hug the World," "Hug Yourself," "Straight Leg March," "High Knee Skip" and the "Cocky Walk." Increases in range of movement should be accompanied by changes in the mind, changes in perception and orientation. For instance, focusing on a particular muscle group to the exclusion of others is counter productive. If you need a lot of flexibility for your workout, say for instance you are an amateur acrobat, then you should be looking all over the room, constantly changing your orientation during your warm-up. If you can't go directly to a posture or position, be honest, it's because you simply don't have that range of motion. Do something else. Play around. The same is true for strengthening. Kids these days are constantly told to "focus." "Stay focused," the teachers say. But focus is a kind of mental constraint which cuts off thinking, in the same way that it cuts off freedom of movement. The expression, "Stay on task," is better. "Be resolute," would be even better. When you set out to do something and you reach the point at which you understand it's parameters-- what is and is not correct-- then just be resolute. Martial arts are noting without the discipline to be resolute. If for some crazy reason I had to choose only one set of Chinese martial arts qigong exercises to do I would pick swings. Swings give you the most cat for your kitty. Right now I'm practicing about 8 types of swings a day. With swings you get lively dynamic movement, changes in orientation, changes in the use of the eyes, looseness, flexibility, integration, central equilibrium, and balance training. Because swings are too fast to synchronize with the breath you don't have to worry about that mistake either. 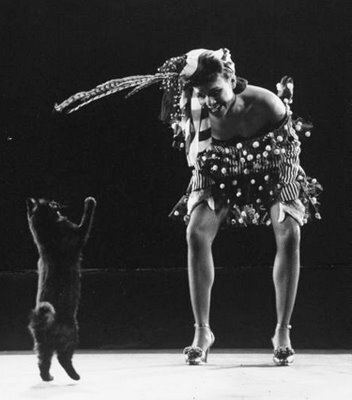 My two favorite types of dance training make extensive use of swings: Katherine Dunham technique and Doris Humphrey technique. They both make use of arm swings, leg swings, and whole torso swings. Humphrey called standing upright and laying down "the two deaths." She based her technique on the continuous dynamic of falling and recovering. Fun stuff. Dunham used her technique to teach people African and African Diaspora dances. 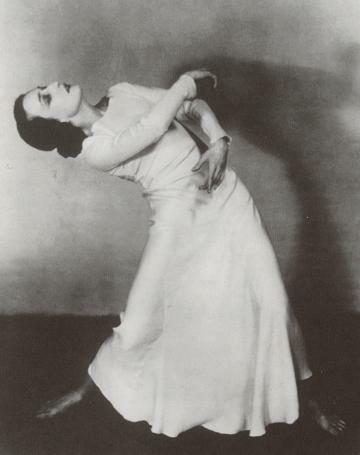 Martial dances used for training warriors was one of her specialties. What I like most about the Stanford sports article is that it is just pure American pragmatism. It reminds me of a question I asked myself a long time ago which got me on this path: If every aspect of Chinese martial arts arose pragmatically, then what were they doing? What milieu inspired all this?